Let me take a step back. Maybe, upon hearing the phrase digital wallet, you associated it solely with mobile or digital payments. However, digital wallets can include much more, such as electronic rewards, mobile tickets, boarding passes, room keys and personal identifications (IDs). For instance, only a few weeks ago at John F. Kennedy Airport in New York, I personally observed an option to pass through immigration with a digital passport. The convenience associated with digital wallets is astounding and it continues to get better. Like BI Intelligence, I believe the potential for a consumer to better employ the digital wallet has yet to reach its maximum capacity. As a customer utilizes a digital wallet, she can avoid blunders like forgotten or misplaced cash, cards, keys and IDs. Of course, using the digital wallet shifts her responsibility from keeping her currencies organized to keeping her phone on-hand. Nonetheless, the weighty benefit is that she will have less to remember, enhanced security functionality, faster checkout options and integrated loyalty programs (BI Intelligence, 2016). After articulating the trending pattern of mobile payment adoption, and describing the benefits of the digital wallet, a question emerges: how can retailers prepare for this piece of technology? First, it will be important for retailers to update their point-of-sale (POS) systems to accept mobile payments. Currently, demand for this type of technology is low, but with the lengthy implementation cycle around information technology, retailers might consider beginning the process now. Doing so will likely offer retailers enticing price reductions upfront. If retailers cannot integrate mobile payment into their POS yet, they should develop a roadmap to do so. Second, retailers might consider the full spectrum of impacts resulting from mobile payments. In adopting this type of technology, operators will likely reduce, or even better, reallocate human resource costs. Many companies from non retail industries who expressed and materialized their interest in mobile payments are seeing these impacts already. Phone organizations (e.g., Apple, Android), banking companies (e.g., Bank of America), and e-commerce enterprises (e.g., Amazon) are some examples. Third, there are a host of second-hand labor implications resultant from new POS systems. For starters, staffing models will change based on new labor requirements. Engineering studies around customer processing times can re-quantify variables, called frequencies, within the labor standards that drive updated standard times. Ideal POS systems will both decrease customer checkout time and add value to the customer experience. If we assume that this occurs, then retailers might also operationally consider how to handle increased customer traffic, sales, and inventory. The good news is that this competitive advantage might offset the cost of the technology investment noted above. In summary, retailers must decide if mobile payments will help them attend to one of customers’ foremost desires: convenience. In my opinion, providing POS convenience will offer big competitive advantages for adopting retailers. Mobile payments and complimentary digital wallets may be a prime example of technology that produces a significant ROI over time. Retailers who want to remain profitable can embrace mobile technology early, positioning themselves for its growth. Managing Your Labor Model: Do Productivity Goals and Customer Service Need to... 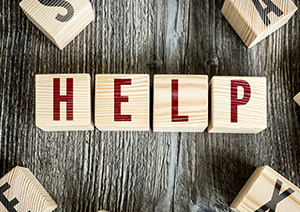 When Should You Ask For Help?